The Jacobs Law has spent a considerable amount of time on this bLAWg writing about the Massachusetts Wage Act, and the consequences it imposes on employers f0r misclassifying ’employees’ as ‘independent contractors’, failing to pay overtime or wages, or failing to pay wages to employees immediately upon termination. A recent case tested the limits of this liability imposed on employers by the Massachusetts Wage Act – and although employers shouldn’t rejoice yet, there is a glimmer of hope. (3) an employer who is late on such wage and benefits payments but pays the wages and benefits before the filing of a civil complaint, is only liable for treble damages on foregone interest suffered as a result of the payment delay, reasonable attorney’s fees, and litigation costs. Every dollar you pay before the civil court complaint is filed saves you from paying three dollars. Employers – Pay Attention, Pay Often & Pay Early! This presents a very real opportunity for employers to avoid massive treble damages and personal liability, and implores a ‘Pay Early and Pay Often’ mantra. If an employer gets even the slightest sense that a current or former employee is planning to pursue a civil action for the non-payment of wages or overtime, or has filed a Wage Complaint with the Massachusetts Attorney General’s Office, that employer should immediately write a check and pay those wages and benefits to the employee. Don’t wait for your payroll company to process the payment, don’t waste time figuring the withholding, and deliver it in-hand or, at the least, by certified mail (you can figure the withholding later, so long as you pay the employee no less than the amount of wages and benefits to which he/she is entitled). Littlefield was an employee at Adcole Corporation. He was officially terminated from Adcole on November 12th, 2014, but alleged that Adcole had failed to pay him $33,600 in earned wages and unused vacation time. Rather than giving Littlefield a check on the date of termination as required by Massachusetts law, Adcole processed the wages and benefits owed to him through the normal payroll schedule. As a result, Littlefield was paid issued a check for his regular wages 8 days after termination and a check for his unused vacation wages was issued 2 weeks after termination. In the meantime, however, and before any checks were paid out to Littlefield, he had filed a Non-Payment of Wages Complaint with the Attorney General’s Office. He received what is called a PRA Letter (private right of action letter) 3 days after filing the Non-Payment of Wages Complaint, giving him the right to sue his employer for failing to pay the wages and benefits. This step is a pre-requisite to filing any civil action for the non-payment of wages in court. However, it was not until 5 weeks later – after all the wages and unused vacation time had been paid out – that Littlefield filed his civil complaint with the court seeking treble damages, attorney’s fees and cost as mandated by the Wage Act. This presented the Court with a very interesting question never before addressed – where Chapter 149, Section 150 of the Massachusetts Wage Act provides that “The defendant shall not set up as a defence a payment of wages after the bringing of the complaint”, does reference to “bringing of the complaint” refer to the Non-Payment of Wages Complaint required to be filed with the MA AG’s Office or to the civil complaint filed with the Court. As discussed in the Court’s Memorandum of Decision above, the Court found that the “bringing of the complaint” refers to the civil complaint filed in the court and not to the Non-Payment of Wages Complaint. For Littlefield, this meant that he could only recover interest (albeit, trebled) that would have accrued between the date of termination (when the wages should have been paid) and the date on which the wages and benefits were actually paid plus reasonable attorney’s fees and costs. For the employer, Adcole, it meant the happenstance of its payments to Littlefield, having occurred just before the civil complaint was filed, likely saved the company tens of thousands of dollars. But the ruling could have far-reaching implications since many small and mid-sized business owners are unaware of the requirement to pay all wages due on the date of termination. 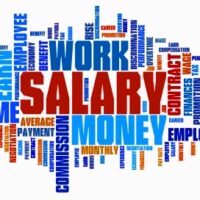 Most such employers process those payroll payments, as well as any benefits then accrued to the employee, just as Adcole did – through the regular payroll processing schedule. The fact that a civil complaint for the non-payment of wages cannot be filed until receipt of a ‘private right of action letter’ from the MA AG’s Office, may buy those small and mid-sized employers some time. However, it will also put far greater pressure on the Massachusetts Attorney’s General’s Office to process Non-Payment of Wages Complaint forms, and the requests for Private Right of Action Letters that typically accompany them, much much faster. Where even a day can result in the difference of tens of thousands of dollars in recoverable award, you can bet plaintiffs’ lawyers will be pushing the AG’s office for faster PRA Letters. In conjunction with that is the fact that the Littlefield decision will cause employee-claimants to rush to the courthouse to file suit. Employees will now be encouraged to rush to file a complaint under the Wage Act to ensure that they can seek treble damages on all wages and benefits owed and not just the interest lost as a result of the payment delay, attorney’s fees and litigation costs. This ruling should serve as a cautionary tale to employers of the consequences that may result from the failure to pay in full all wages and benefits due on the date of termination of an employee. But it should also put employers on notice of a short, but extremely valuable window of opportunity to avoid the massive penalties otherwise imposed by the Massachusetts Wage Act – if you, the employer, hear that one of your employees or ex-employees plans to sue you and your business for non-payment of overtime, wages or other benefits, PAY, PAY early and PAY often. Every dollar you pay before the civil court complaint is filed saves you from paying three dollars. For more information on the requirements of the Massachusetts Wage Act, and the payment of wages, benefits and overtime contact an experienced attorney at The Jacobs Law at 1-800-652-4783 or email us at Business@TheJacobsLaw.com.